Online Credit Card Apply for Barclaycard. So what are you waiting for? Barclaycard introduced the UK’s first credit card in 1966. As Britain’s premium credit card, it became a symbol of a modern way of life. An online credit card apply for Barclaycard can get you a card in no time. Barclaycard is part of the Barclays Bank Group. With more than 300 years of banking experience, it is one of Europe’s largest multi-brand credit card businesses. Barclaycard South Africa is a division of Absa Group Limited. In 1973 women applied for credit cards that gave them access to thousands of shops and restaurants around the globe. Barclaycard then introduced the Profiles scheme so that customers could collect points on all their shopping. 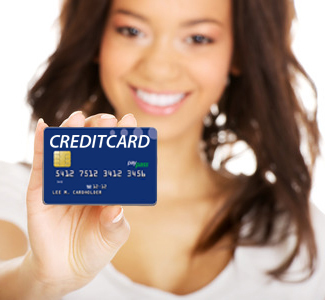 You pay a monthly fee of R35.00 for this card and R40.00 for the Barclaycard Prime. If your Online Credit Card apply for Barclaycard was unsuccessful, don’t give up, Barclaycard has a reconsideration department where you can try again. On approval, you get a sign-up bonus. This card is your passport to a world of incredible spending, a variety of benefits and worldwide acceptance. You can apply online for a Barclaycard by clicking on the Apply Now button. You can also call them on 0861 Barclays. For security reasons, your PIN number travels by mail to the postal address you provide on the application form. You receive a weekly SMS to let you know what your outstanding account balance is, at no extra charge. So you always know exactly how much you’ve got to spend. When your debit orders go through you, get an alert too. With the Classic Credit Card from Barclaycard, you benefit with a degree of travel insurance. However, you must buy your international return travel tickets with your Barclaycard. By phoning 0861 872 822, you can enjoy Optional Extended Cover. If you are a Prime Credit Card holder, you benefit with travel insurance. You must buy your international return travel ticket with your Barclaycard. This comprehensive Travel Cover extends to your entire family. emergency cash assistance within a few hours. You get complimentary airport lounge access to the airport lounges of Premier Club in South Africa when you buy your air ticket on your Barclaycard Prime credit card. Purchase Protection – insurance protection against theft as well as accidental damage for 90 days from the date of purchase. Extended Warranty Guarantee – extends the original warranty for appliances bought in South Africa for up to 24 months from the time of purchase. Get secondary cards at no additional cost from Barclaycard. With so much fun waiting for you, why not apply now and let the magic begin. ← Nedbank offers Greenbacks, Voyager miles, American Express etc. etc.